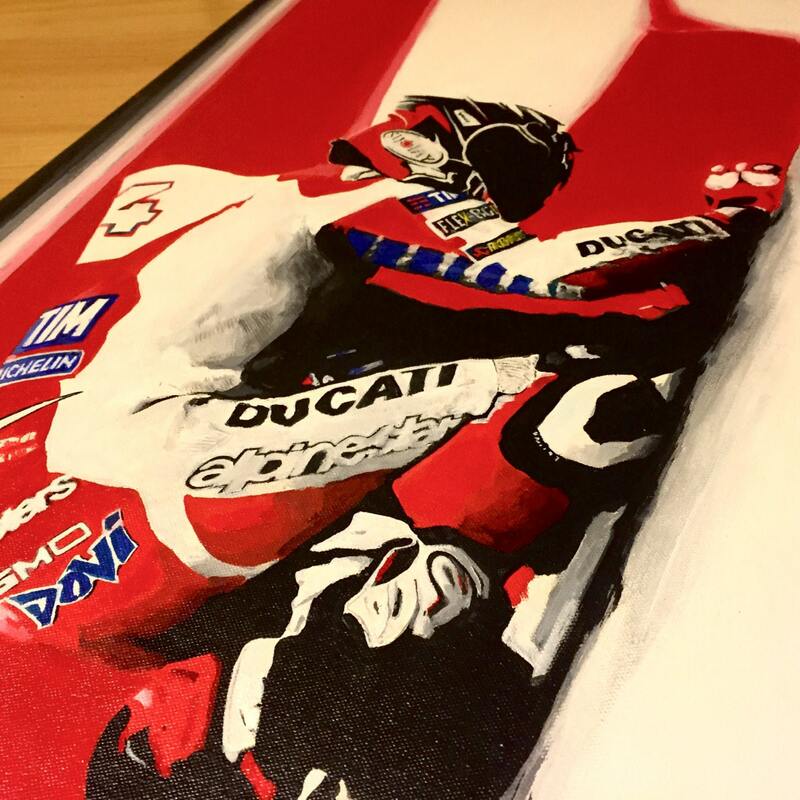 As part of his 2016 MotoGP series of paintings, the artist tried to capture the most meaningful element of each race. 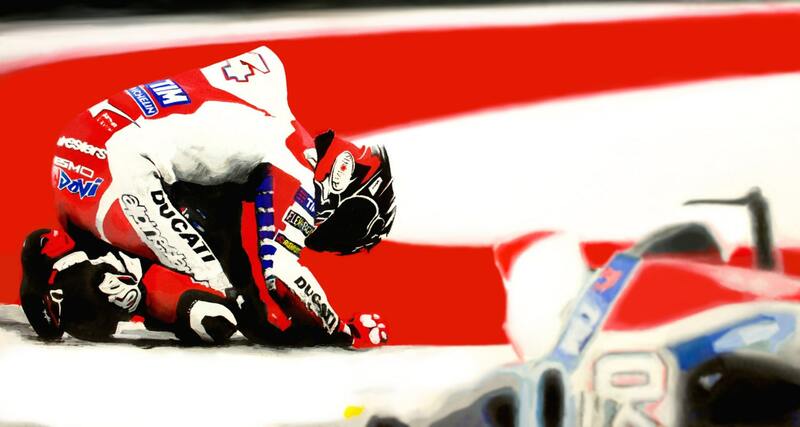 At Circuit of the Americas, Dovizioso's chances of a championship were over. He'd finished the first race in 2nd place, but then was taken out on the last lap on his second race in Argentina by Iannone. 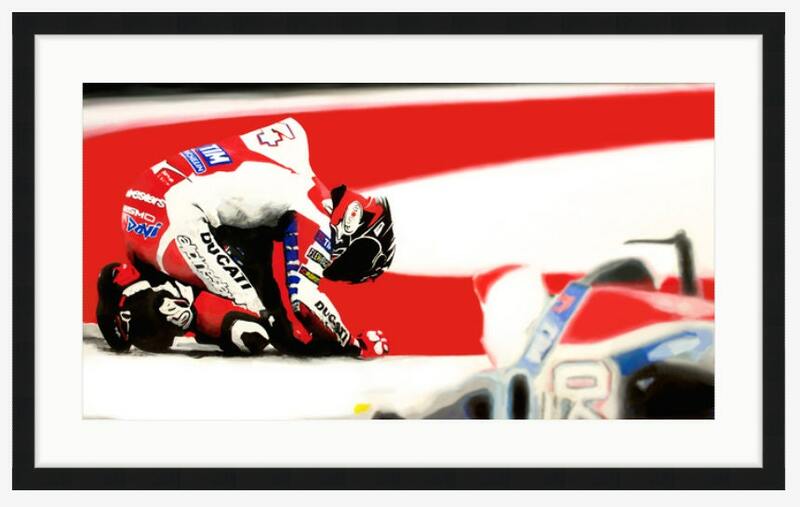 Just a week later, in Austin, Pedrosa crashed into him while battling for the podium. This scene captures the moment when he realizes a championship victory would take a miracle. Due to the shallow depth of field and stark colors, both the print and the original painting have a hyper-realistic effect that appears like an actual photograph. 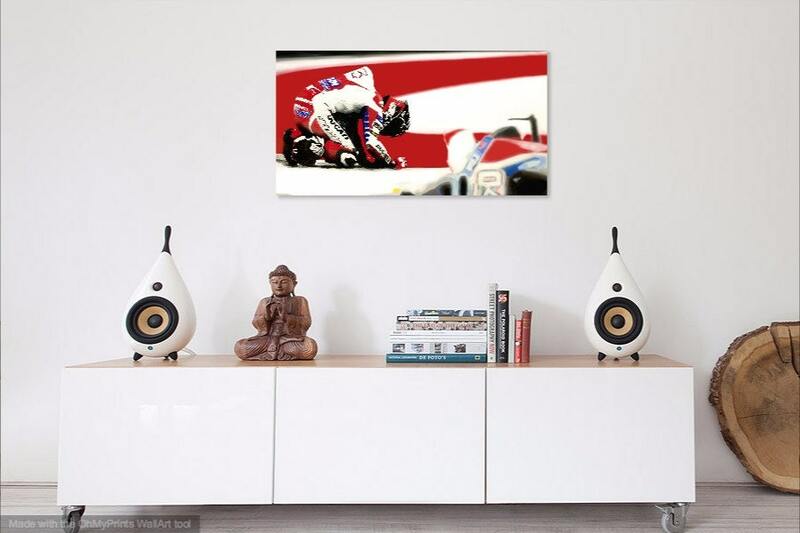 Prints of the original painting are available as vinyl banners, on canvas or on premier heavyweight paper.